Think of it! 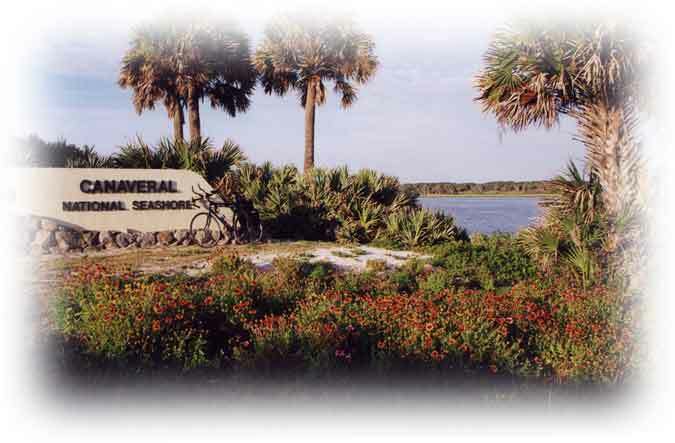 A paved, off-road, through-access trail for all non-motorized traffic, including cyclists, roller-bladers, and strollers, connecting greater Orlando to nearby New Smyrna Beach! That’s the dream. And it’s alot closer than you might think: an on-road route is already in place that’s mostly safe & serviceable over its entire length, making much of that dream a reality today for area cyclists. In five sections totaling just over 42 miles Bike To Beach . . .
follows the safest shortest practicable cycling path . . .
to the nearest desirable Atlantic coast . . .
from Orlando’s northern suburbs . . .
within an easy day’s outing one-way . . . The longest leg and the route’s backbone is State Road 415 running NE out of Sanford largely through open country and protected wilderness areas. The two principal feeders are . . .
At the southern end: Seminole County Road 427 running NE from Altamonte Springs to Sanford. An alternate, albeit longer, southern connector is the beautiful new Seminole-Wekiva paved (Rail-to-) Trail which opened in 2002. At the northern end: State Road 44 running east into New Smyrna Beach.